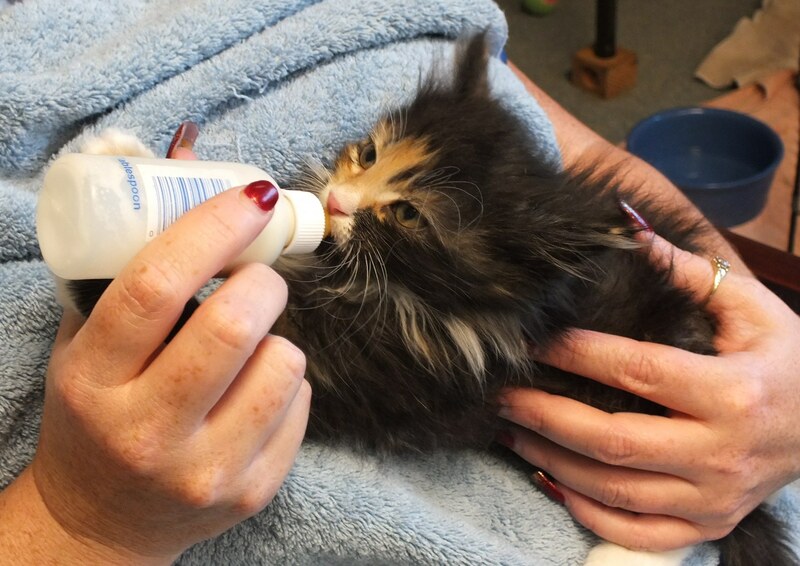 Fostering – the politically correct way to be able to play with kittens (and puppies)! The babies are coming, and they need YOU! Because the s helter has limited resources and because a shelter is not the best environment in which to raise very young animals, we depend upon our network of foster homes to help give these little ones the best start in life possible. Do you have the time and energy to devote to sick or very young animals? Several hours daily are required to care for the animals and they often require several feedings throughout the day. Is there a suitable place in your home where the foster animals can be housed? Can you keep the animals safely indoors at all times? Can you keep litters separated? Are you willing to clean up feces, change litter boxes, wipe runny eyes, administer medications, listen to crying at night, and live with other inconveniences? Do you have transportation so that the animals may be transported to the shelter if there are emergency health problems? If you have small children, are you able to supervise ALL interactions that they might have with the foster animals? Can you supervise interactions with other adults and guests as well? If you have other pets, are you able to supervise ALL their interactions with the foster animals? Are you able to separate your own pets from foster animals that may have contagious diseases? (RPAS cannot be responsible or assist in the treatment of your resident animals if they become ill). And so your cats (especially if they go outdoors) don’t bring disease/germs in to the young kittens. Are all of your pets currently vaccinated against all major diseases? This is very important to protect your pets and the foster animals. Are you emotionally able to return foster animals to the shelter after you have bonded with them? There is space available for them either at the shelter or at one of our outreach adoption sites. Depending on the original health, age and weight of the fostered animal this could take anywhere from 1 week to 2 months. Please let us know if you have a time limitation regarding fostering so we can make an appropriate placement.